George Pérez and Jerry Ordway did the art for pages 14-18½. The "Infinite Crisis" crossover still purring like a kitten and the big "One Year Later" reboot just round the corner, January was, understandably, another very quiet month for DC Comics, in terms of new titles. The publisher's top-selling new title in January was the DAY OF VENGEANCE: INFINITE CRISIS SPECIAL one-shot. Other than that, the limited series SGT. ROCK: THE PROPHECY and ELFQUEST: DISCOVERY debuted, along with the new Vertigo title THE EXTERMINATORS. These numbers speak for themselves, really. Even though it keeps losing steam as a crossover in January, INFINITE CRISIS itself is tremendously successful for DC, particularly considering its $ 3.99 price tag, and sales are holding up relatively well. The three previous issues also made the chart in January. selling another estimated 2,121 (issue #1), 3,818 (#2) and 6,918 (#3) copies. The book's sales seem to be finding their level quickly. While it's still lost more than 60,000 units between issues #1 and #3, the percentage drops are actually more gentle than those of other recent high-profile DC launches. Retailers seem to have a lot of confidence in the book so far, and it's obviously a big money-maker for the company, especially given its cover price of $ 3.99. 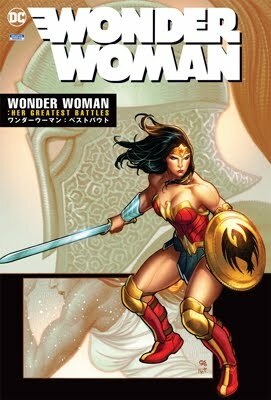 One also shouldn't underestimate the ongoing and very enduring boost INFINITE CRISIS and its many precursors have been giving to the majority of DC's mainstream titles, most notably SUPERMAN and WONDER WOMAN. INFINITE CRISIS isn't just tremendously successful as a limited series, but as a crossover as well. On the other hand, December marked the first month since DC began the drum roll for INFINITE CRISIS in which several titles didn't noticeably profit from taking part in the crossover or its off-shoots, which might suggest that the interest in INFINITE CRISIS -- at least so far as the crossover aspect is concerned -- has peaked for the time being. The coming months should bring more clarity in the matter. Like the two previous issues, INFINITE CRISIS #3 was shipped in two different cover editions, for the record, one drawn by George Pérez, the other by Jim Lee. Issue #2 made the chart again in December with 3,877 additional copies, issue #1 with 2,191. Concluding this three-part series investigating the chronology of the DC Universe from the Countdown 80-page special to Infinite Crisis (read Part 1 and Part 2), today some of the trickiest parts of the chronology are explored and explained. Yet Infinite Crisis #1 seems to place the Rock of Eternity’s destruction, the destruction of the Watchtower, and a startling array of other events all on the same day Superboy is brooding in front of the television – Monday. While I am reluctant to distort the integrity of the core book itself, and while I recognize that my research on this Sunday/Monday timeframe is not complete, I am nearing the conclusion that Infinite Crisis #1 is deliberately told in a jumbled sequence that suits Johns’ preferred dramatic pacing, and cannot be read as a literal chronological sequence. Phil Jimenez (Otherworld, Infinite Crisis) – A sombra de George Pérez não paira mais sobre Jimenez. O artista tem se aventurado a escrever revistas como Otherworld e ainda fez uma arte magnificamente detalhada nessa minissérie e em Infinite Crisis. Também dignos de nota: John Cassaday (Surpreendentes X-men), Mark Buckingham e Steve Leialoha (Fábulas), Ed Benes (Aves de Rapina), Bryan Hitch (Os Supremos) e Frank Quitely (WE3). Since the death of the Elongated Man's wife, Sue Dibny, in the spring of 2004, DC Comics has put its fans into an emotional and multilayered story crossing over most of its best titles (around 78 comic books, to be more exact), which has led up to the current, universe-shattering developments in this monumental seven-part miniseries. I'll readily admit that I have only a slight idea of what is going on here, but it sure looks exciting as I read such mighty dialogue as "being the only survivor of a reality that never existed" and "the very fabric of existence has shifted." The story of Infinite Crisis thus far offers the end of the Justice League, a Power Girl epiphany, the destruction of the Freedom Fighters, the Spectre savoring vengeance, Brother Eye wreaking havoc on the metahumans and a despondent Joker not being offered the chance to join the Secret Society of Supervillains. As a team of creators including Geoff Johns, Phil Jimenez, Andy Lanning and George Perez leaves its mark on the unfolding story, it's obvious heroes and villains will continue to die, multiple versions of Superman will be right in the middle of the mess, and comic-book fans late to the game will spend lots of cash to find out what is going on and what is going to happen. Besides dutifully carrying on with INFINITE CRISIS and all that it entails, November was the launch month of DC Comics' ALL-STAR SUPERMAN, written by Grant Morrison and drawn by Frank Quitely. Unfortunately, sales don't turn out as spectacular as one might have imagined, leaving ALL-STAR SUPERMAN #1 on a modest second place after a strong INFINITE CRISIS #2 on the November chart. Other notable November debuts from DC included Matt Wagner's BATMAN AND THE MONSTER MEN, a new JONAH HEX ongoing series, DANGER GIRL: BACK IN BLACK (WildStorm) and Brian Wood's DMZ (Vertigo), as well as the final two SEVEN SOLDIERS limited series by Grant Morrison, FRANKENSTEIN and BULLETEER. For the record, it should be mentioned that both issues shipped with two different covers. But that's hardly an unusual practice, at this stage. ...If INFINITE CRISIS requires eight months, then readers logically expect crossover in other titles during the same time (or they should, in a consistent shared universe). If that time were reduced to a single month, then the writers would only have to worry about the events leading up to and following the event. So, you read BATMAN until the big INFINITE CRISIS trade hits the shops. Then, you read about what the Dark Knight’s up to during that event. That’s where he is during the larger story of the shared universe, and he doesn’t have time to head to Apokalips with Superman. Then, the next issue of his regular series picks up after the special event. Diamond Comic Distributors sold an estimated 207,564 copies of DC's Infinite Crisis #2 (featuring two covers) to comic stores in November, only a 17% drop from the blistering sales (249,265) of the first issue. DC's All Star Superman (Grant Morrison and Frank Quitely, cover by Quitely and an incentive cover Neal Adams) came in at 170,802 copies, substantially less than the roughly 261,000 copies the first issue of All Star Batman and Robin, the Boy Wonder sold, powered by Frank Miller and Jim Lee star power. UPDATE 12/17/05: This month, again thanks to our partnership with Comics Buyer’s Guide, Newsarama is now able to bring readers estimates of the number of comics, graphic novels, and now overall market sales sold to the direct market. Click on the following link for the Top 300 Comics, Top 100 Graphic Novels and Overall Market Estimates. According to the analysis of CBG’s John Jackson Miller, Infinite Crisis, All-Star Superman, and a great month for new trade paperback sales (led by over 10k orders for The OMAC Project helped the direct market to double-digit gains in November. Stable year-over-year sales for comics were complemented by a $4.74 million month for Diamond’s Top 100 trade paperbacks, a 23% increase over the same month in 2004. DCD (Diamond Comics Distributors) released their monthly Direct Market sale charts and Market Share report Friday, this month for titles that went on sale in November 2005, and while DC Comics had the two best selling titles of the month, Infinite Crisis #2 (#1) and All-Star Superman #1 (#2), along with the top-selling trade paperback of the month, The OMAC Project, Marvel Comics strength in the overall Top 20 Comics (14 of 20) helped them first in both Dollar and Unit Market Share for the month. House of M wrapped up with its final issue #8 in 3rd place for the month, and X-Men: Deadly Genesis made a very strong debut at #6. The rest of the Top 100 took on its fairly usual flavor, with just six of the Top 100 coming from outside of DC and Marvel including Dynamite Entertainment’s Red Sonja #3 at #42. Comics Review: Who’s that Power Girl? INFINITE CRISIS ISSUE 2 DC SINCE the book has been out for a bit, this is more of a spoiler-ish bringing-up-to-date sort of review. As the back story of Infinite Crisis is a long and complex one, we’ll be taking a look at the series of events which has led us to Issue 2. The real star of Issue 2 is Power Girl. Writer Geoff Johns recently provided us a deeper look at her origins in JSA:Classified. Here, he takes us and Power Girl all the way down the rabbit hole to show us the ‘Truth’. Ever since her first appearances, Power Girl has been plagued by contradicting origins. First, everyone thought she was Superman’s cousin. Then it was proven false. And then a few other origins came up and left everyone confused as to who the heck this woman really is. Was she really a Kryptonian? Or from Atlantis? OK Kids – Class is in session! I would like to welcome everyone to DC’s Crises 101. We have a lot to cover so if you wouldn’t mind please get ready to take notes. I will admit that I never read Crisis on Infinite Earths. Now before everyone starts throwing stones and screaming “blasphemy”, I’ve done my research and I have a basic understanding of what has transpired in the past. However, some of the congestion and confusion still hovers. Infinite Crisis #2 is the perfect point for anyone to hop onto the current storyline. This is the issue which will slowdown, and BREAKDOWN, the congestion that is the past 20 years of Crisis storylines as well as progressively moving the Infinite Crisis storyline along with the origin of Power Girl – FINALLY! The issue opens with Donna Troy’s call-to-arms heading out to Animal Man where he ominously points out that every animal on Earth is drastically trying to escape the planet. As I said, if you were nervous to be jumping into a book where the basis of it was established 20 years ago… don’t worry. Everything you need to know and get you up to speed is handed to you in the smooth rolling Johns’ script. The past is explained with the present is quickly moving forward. Johns’ script is also highly accentuated by Jimenez’s pencils, which are on par with the original artist of Crisis on Infinite Earths, George Perez. Whether you're an old-time DC Comics fan or someone too young to remember Crisis on Infinite Earths, you'll definitely want to check out this major event which is re-shaping the DC Universe. This is not to be missed. Anyone with any doubts that Power Girl plays a huge role in DC’s Infinite Crisis, notice has been served. As they have over the last few months, DC has provided Newsarama a preview of another cover to Infinite Crisis. Up this week is George Pérez’s cover to next month’s Infinite Crisis #2, again prominently featuring Power Girl front and center ... well, back and center anyway. So as always, click on the image to the right for the full cover preview. And if you’d like to update your score cards, Jim Lee’s covers to issues #3 and #4 are still out there awaiting a preview. If you saw one of Dan DiDio’s “Crisis Counseling” panels at any of the various conventions over the past year you know what’s coming. Handling questions about the build-up to the miniseries, the original Crisis, as well as Infinite Crisis itself, DiDio hit questions, concerns, and outright accusations with answers, teases, and quite often, a Cheshire Cat grin. As previously announced, the DC Vice President and Executive Editor has agreed to handle questions about Infinite Crisis monthly, on the Wednesday during the miniseries run, a continuation of his “Crisis Counseling” sessions. While future installments will take selected questions from readers, for the inaugural session, DiDio handled questions from Newsarama. One last thing before we start – images included in this article are from issue #1 of Infinite Crisis. The first few have already been seen, though the page with Superboy has not been seen previously. Likewise, and here’s the important part – the full sized cover to Infinite Crisis #2 (linked to via the previously-seen thumbnail below) is the full sized, actual version of Infinite Crisis #2, which can now be shown. Again – a major, major, major spoiler warning – the different cover has a spoiler to Infinite Crisis #1, so, if you don’t want to know about it, don’t click the Power Girl cover. Got it? While original Crisis on Infinite Earths artist George Pérez already confirmed for Newsarama that he (along with Jerry Ordway on finishes) would be penciling sequences in Infinite Crisis #2, word has now come that Perez’s Crisis collaborator, Marv Wolfman has a special job in the coming Crisis as well. According to DCU Executive Editor Dan DiDio who recently spoke with Newsarama, Wolfman will write a story for February’s Infinite Crisis Secret Files, which will, among other things, draw a more or less direct line between Crisis on Infinite Earths and Infinite Crisis. The “return” to Crisis will be Wolfman’s third official one, counting 1999’s Legends of the DCU: Crisis on Infinite Earths special, and this year’s Crisis on Infinite Earths novelization. Bob Wayne, Greg Rucka, Dan DiDio and Joan Hilty were on the Infinite Crisis panel at Wizard World Chicago. Not a lot of new announcements were made, but the panelists did say that Ted Kord, Max Lord, Sue Dibny, and Barry Allen would not be making a return to the DCU after the Infinite Crisis. The new 52 weekly series is directly spun out of events occurring in Infinite Crisis #4, which ships in March of 2006. There will be multiple teams on 52 to ensure that it's a continuous event and will come out on time. DC announced that fan favorite artist George Perez will be drawing all the seven covers of Infinite Crisis. There was cryptic news that Keith Giffen is working on a new series, but the publisher would not confirm what it was about or who was featured in the comic. DCU continuity will be sustained after the Infinite Crisis. These titles are unaffected by Infinite Crisis: Brave and the Bold, Plastic Man, the All Stars line, and Legion of Super-Heroes. These characters are not coming back to the DCU: Ted Kord, Barry Allen, Maxwell Lord, or Sue Dibny. When asked about a possible new Blue Beetle, the panelists said, "If there is a new Blue Beetle, it won't be Ted Kord." Keep checking back with THE PULSE for more from Wizard World Chicago. TROJAN WARRIOR: JIMENEZ TALKS: "DC SPECIAL: THE RETURN OF DONNA TROY"
Donna Troy was one of the most beloved members of the DC Comics Teen Titans. Fans mourned her death in the "Graduation Day" mini-series and rejoiced when DC announced the four-issue "DC Special: Return of Donna Troy" mini-series by writer Phil Jimenez and artist Jose Garcia Lopez. However, when some readers picked up the first issue of the series they found it wasn't quite what they expected and some were left confused. CBR News chatted with Jimenez by phone last week for some clarification and background on the series and some hints on how it ties into the looming "Infinite Crisis." After the DC Universe settles down from the events of "Infinite Crisis," readers can expect appearances from Donna in a monthly DC book. "I think there's been some talk. The plan had always been that once she was reintroduced she would be placed in either the 'Titans' or 'The Outsiders.' I suspect it will be one of those books." Jimenez has enjoyed crafting a story that reintroduces one of his favorite characters and places her at the forefront of the big events in the DC Universe. He urges readers who may be confused or have questions to stick with the book. The final two issues of "The Return of Donna Troy" should tie things together for them nicely. "I just hope readers remembers that it is a four-issue series," Jimenez said. "Just because everything wasn't explained in issue one doesn't mean it doesn't pan out over the other three issues." The changes coming to the DC Universe following Infinite Crisis won’t be limited just to the characters. DC Executive Editor Dan DiDio has confirmed for Newsarama that, following the seven-issue Infinite Crisis miniseries, DC editorial will see a significant change as well. In a brief chat with Newsarama Friday morning, DiDio initially explained some of the rationale behind the upcoming “One Year Later…” jump all the DCU titles will experience coming out of Infinite Crisis between February and March of 2006. The former Titan resurfaces with clues to 'Crisis'. It's a brand-new dawn for Donna! Originally Wonder Girl Donna Troy, seemingly killed in Titans/Young Justice: Graduation Day mini-series but instead transported to a strange world, roars back to life in DC Special: The Return of Donna Troy. written by Phil Jimenez with art by Jose Luis Garcia and George Perez, the four issue mini also serves as the official prologue to October's Infinite Crisis mini-series (drawn by Jimenez and written by Geoff Jones). "This series sets Donna Troy up as a major player in the Crisis itself," the writer says. "It also connects to the cosmic events of the Rann/Thanagar War and the Teen Titans and the Outsiders. We're using her background and history to explain why she's so pivotal to the DC Universe, and why she, more than anyone else, has to be in the role she's about to take on." Plus August's issue #3 is girl-on-girl action when Donna tangles with current Wonder Girl Cassie Sandsmark! The fall will see a new "Absolute Edition" of "Crisis on Infinite Earths," including a brand new cover by a up-and-coming new talent by the name of George Perez. Perez will also be doing one of the dual covers that will appear on October's "Infinite Crisis." The other artist will be superstar Jim Lee. On the Infinite Crisis front, it was announced that each issue of the seven issue miniseries will have two covers, one by Jim Lee, one by George Perez. The previously announced Crisis on Inifintie Earths: The Aboslute Edition will ship in November. One volume will contain the entire maxiseries, while a second will present behind-the-scenes features. George Pérez will provide new covers for both volumes. Hosted by Bob Wayne many questions were answered about the future happenings of the DCU and some new projects revealed as well. * The seven issue Infinite Crisis series will have two covers per issue, one by Jim Lee and the other by George Perez.